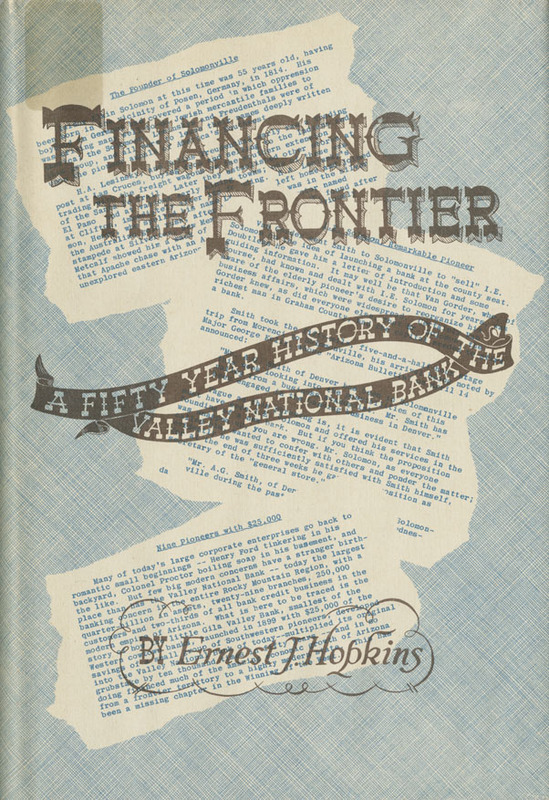 Hopkins, Ernest Jerome , “Financing the Frontier: A Fifty Year History of the Valley National Bank ,” Arizona 100: Essential Books for the Centennial, accessed April 21, 2019, http://speccoll.library.arizona.edu/online-exhibits-dynamic/az100/items/show/237. Beginning with the story of nine pioneers who pooled $25,000 to found the Gila Valley Bank in Solomonville, he traces the institution’s growth through panic, consolidation, and expansion to become the largest financial institution in Arizona and the Rocky Mountain West. Hopkins’s keen eye for character, plot, and engaging anecdotes serves him, and readers, well as he tells the Valley National story through the actions of men like Louis Ricketts and Walter Bimson who steered the bank through tough times toward profitability and, in the process, underwrote much of the financial growth of the state and region. Phoenix : Valley National Bank, 1950. 271 p. 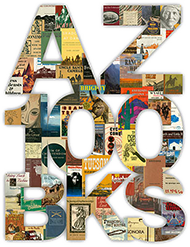 illus., ports., facsims. 24 cm.